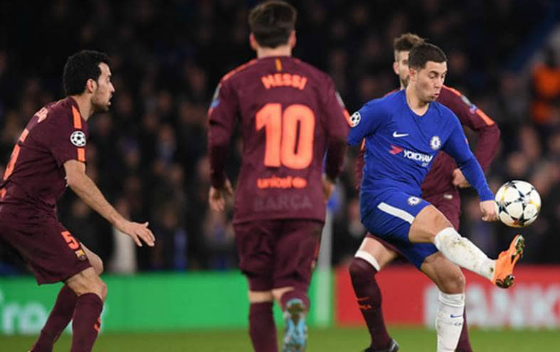 The final game in the Champions League Round of 16 is a blockbuster one as Spanish giants Barcelona host Antonio Conte’s Chelsea in a mouth watering midweek clash at the Nou Camp. Antonio Conte’s side go into this game on the back of a 2-1 win on Saturday evening over Crystal Palace. 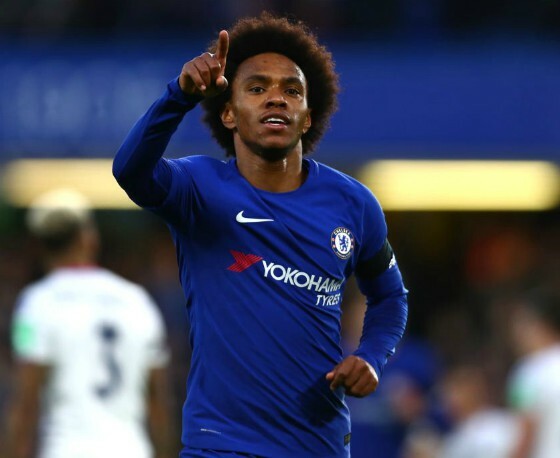 Brazilian playmaker Willian, so influential in the first leg against Barca, scored the opener before Martin Kelly’s unfortunate own goal put Chelsea 2-0 ahead. There were several opportunities for the home side to extend their lead, with James Tomkins putting his body on the line to stop Willian’s effort, and the Brazilian very nicely setting up Alvaro Morata, only for the Spaniard’s shot to be deflected and go over the bar. Patrick van Aanholt pulled one back for Palace towards the end, but it was too little, too late for Roy Hodgson’s side. Willian had rattled both posts before scoring Chelsea’s opener against Barca at the Bridge and Blaugrana midfielder Sergio Busquets has already identified him as a player “to be stopped” ahead of the return leg. The playmaker’s dazzling recent form has earned him a national team call up and he will be key to Chelsea’s plans of success at the Nou Camp. Antonio Conte went for Hazard as a false 9 in the first leg, but is likely to opt for a conventional striker in the Torres mould- one of Giroud or Morata to lead the line, with Hazard and Willian behind in support. Giroud was influential against Palace (Chelsea had 27 shots) and Conte might be tempted to start with the Frenchman against Barca. The game against Chelsea will be Lionel Messi’s first since the birth of his third child. Messi missed the Malaga game over the weekend, which Barca won 2-0 thanks to goals from Luis Suarez and Philippe Coutinho. Ousmane Dembele had a stellar game at the Rosaleda and produced a magical assist for Coutinho’s strike, but neither of the two are expected to be in the starting XI on Wednesday night. The Catalans are unbeaten at home in La Liga this season (W11, D2), have scored 38 times in 13 games and let in just six goals. That explains why they are such huge favourites at unibet.co.uk, with Ernesto Valverde’s side being quoted at 1.43 at the time of writing. Chelsea are huge outsiders at 8.35, meaning that the bookies think Antonio Conte’s side, like Mauricio Pochettino’s Spurs, will not progress to the quarters. Coutinho is cup tied, but there are also doubts over the fitness of veteran Andres Iniesta, who had a huge hand in Messi’s equaliser at the Bridge. Barca will however give their talismanic medio every chance of recovery. Chelsea’s 2-2 draw back in April 2012 remains one of the greatest ever results in the club’s history- they were 2-0 down at half time with John Terry sent off and managed to draw 2-2, with Lionel Messi also missing a second half penalty for Barca. The referee for this game is Slovenian Damir Skomina. Both teams have already played a game under him in the CL this season- Barca beating Juventus 3-0 at home and Chelsea drawing 3-3 with Roma at the Bridge.